Actually, there is no "us", only me sitting here in my living room, slaving away over a hot computer, but I promise I'll give you the very best service I possibly can. All orders will be shipped within 7 days of receipt of payment, and satisfaction is 100% guaranteed. Customer information is NEVER sold, lent, or given to anyone else. I never send unsolicited email, and the information I save is for tax purposes only. My name is Kathie McPugh, and I've been doing needlework most of my life. My Mom taught me the art of crocheting when I was about ten years old, and a couple of years later she also taught me to knit. A few years ago, I discovered that it was a lot more fun and rewarding to make up my own patterns than to follow someone else's instructions, even though it involves a LOT more ripping out and reworking. So many people have complimented me on my designs that I thought I might be able to sell some of them. CrochetPlus is an idea I've been working on for several years, so when I finally got a computer last year, I thought I'd try an on-line store. So what do you think? Okay, so this isn't the most up-to-date picture I could have shown you, but it is definitly the most flattering. 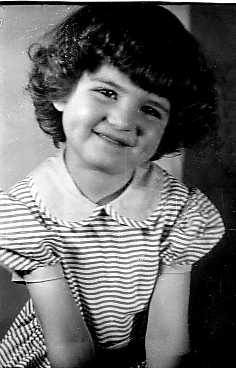 Anyway, I still have the dimples, but my cheeks aren't quite as round, or the hair quite so curly. Definitely our most valuable employee.